Mels Box of Chocolates: A Sword-Fighting Mouse? If you're lucky I may put a button that fell off, back on, but don't hold your breath. The other day must have been lucky though because I dragged out my wanna-be-sewing box. The one my grandmother gave me when I was probably Zoe's age.The one that holds 3 spools of thread and a pin cushion for a few needles. I pulled out one of the needles and Zoe came over to see what I was doing. "Mom", she said. "You know what I always think about when I see sewing needles"
"I think that a poor little mouse must be really upset that he lost his sword. Don't you think that it looks like a mouse's sword?" "Now that you mention it, yes it surely does," I replied as I finished sewing on those darn buttons with a smile on my face. 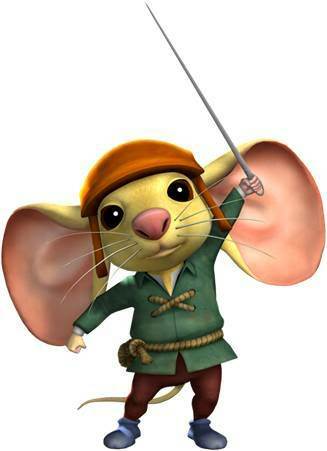 I just hope that the little mouse doesn't come to our house in search of his lost sword! Love my little girls imagination.